This entry was posted in Kenneth Stewart, News and tagged Free Church of Scotland, Peter Wallace, Plenary Assembly, resigns. Bookmark the permalink. Yes, the issue will be divisive as long as Reformed Christians choose to depart from the historical position of singing only the Psalms in worship. The division takes place because of those who sing hymns, not because of those who sing the Psalms. Reformed Christians should follow the Regulative Principle of Worship, which by its very nature forbids the singing of uninspired songs in worship. Yes, I believe the issue is of utmost importance. Worship is the most important thing we will ever do in this life. God has clearly revealed in His Word that unholy worship is displeasing to Him. If that is not worth stirring up a good discussion, I don’t know what is. Of course, those of us who hold to EP are not in love with division for the sake of division itself. We desire to work with our brethren who will allow us a voice and give us the freedom to practice as we believe we are commanded in Scripture. The RPCGA is a good example of working together to avoid division since both EP and non-EP churches exist within her bounds. Ultimately, my goal would be for all of our churches to return to the historical and biblical position of singing the Psalms. I don’t believe this will happen any time soon. That is why we must be patient and loving with one another, always willing to listen. Rev. Stewart is fully within his right, however, to leave the Free Church of Scotland over the issue of Psalmody (though there are more issues involved). The majority of the church has voted to not only allow unbiblical practices such as singing uninspired hymns and using musical instruments, but also to place Rev. Stewart in the difficult position of being in violation to his ministerial vows. Rev. 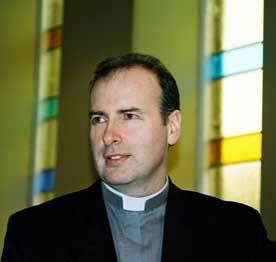 Stewart has vowed to uphold and defend the Confession of Faith and the historic positions of the church. By voting as they have, the Assembly has forced the strictly EP ministers into a choice of whether they will leave or whether they will stay in violation of their consciences. The division that resulted in this case is the fault of the advocates of hymn singing, and is not to be laid at the feet of the men who desire to obey God in the singing of the inspired Psalms only. Thank you for the link you provided. I have provided many such links here on this website. Although it is speaking against EP, I believe it is important for us to read and study through the writings of those who speak against our practice. This demonstrates for us that the Reformers and the Westminster Confession of Faith did not intend for uninspired songs to be used in worship. Mr. Middleton’s position is a departure from the Reformed position and the WCF as well. UPDATE: I might also add that there are many other helpful articles referenced on the “Articles” page that provide responses to Mr. Middleton’s arguments against EP. For your interest there has been a further ‘spat’ over the Free Church of Scotland decision. It took place in the pages of the West Highland Free Press newspaper. Prof Donald MacLeod, the main mover behind these changes, took a swipe at Kenny Stewart in his characteristically strange mix of the facetious and the serious. In a nutshell, MacLeod argues that all Confessions are provisional and the ‘vows’ at ordination are relatively mild so going back on them no serious matter. In effect he seems to be reprising roughly the views of Rev Peter Wallace that vows can be ‘explained’ to mean precisely the opposite of their original intent. The Rev Kenny Stewart retorted with an acid reply. MacLeod avers the Free Church of Scotland is still secure in its classic Reformed doctrines. But is it? As the British Evangelcal Times at last has been jolted to question just what the broad picture is in the current Free Church when one of its leading ministers ( and editor of its official magazine, no less) can fete the pope as a Christian brother and the authour of the best book on Christ he has ever read. They have , it seems, lost patience with the Free Church for its resounding silence in refusing to say whether they will bring any form of discipline to bear on Robertson of Dundee. As for whether churches should split over this, I cannot see how one can with integrity take vows then agree to disagree! The Reformed Church has never left the matter of the ordinances as secondary within her bounds. The equation of singing with prayer and preaching is probably the most attractive argument to hymn singers. But the matter to be sung to my mind MUST be nothing less than the canonical Word of Christ if the Ephesians and Colossians passages are to be exegeted properly. Also the quotations of psalms in Romans 15v5-9 and Hebrews Chap2 v11-12 What is Christ singing in our midst? Watts? Wesley? Handel? Toplady? Bach? Havergal? I think not. He will be singing HIS Word and indisputably the Psalms are His Word, and exude the Person and Work of Christ. Very interesting. Are any of the WHFP articles online? I looked but I was unable to find anything. The WHFP is a bit of a rag. It tends to support the defecting side of the Free Church of Scotland whose most famous minister is arguably Prof Donald MacLeod who is behind much of the innovations in the last few years. He has a weekly column in the WHFP where he often takes the opportunity to openly air his discontent at the Church that has both nurtured him and supported his ministry. Frankly you are not missing much in not getting ready access to the WHFP online!! I see from your church locator map that presumably in the wake of the Plenary Assembly’s undignified haste to be rid of the Psalms you have removed the Free Church of Scotland listings. Whilst I can understand why you have done so, I am wondering if you’ve been a bit hasty in doing so. While I doubt there’s much prospect of the decision being overturned- it’d lead to far too many cases of discipline, apart from the theology involved- I think it only to fair to point out there is some fair degree of resistance to this throughout the denomination and some congregations are distinctly hostile to these innovations. I realise this is not the same as proper presbyterian uniformity but then, nether are isolated O.P.C./P.C.A instances which I think you have listed. There are also some Church of Scotland and at least one United Free Church of Scoltand congregations which still practise purity of worship. I meant nothing against the faithful FCS churches by removing the link from this website. Basically, I have no way of knowing which churches are singing the Psalms and which are not. If I understand the vote that took place at the Plenary Assembly, it would seem that over half of the ministers approve of the singing of hymns in worship. I have no desire to direct people to hymn singing churches with this website. If there individual churches that were EP churches, I would be more than happy to provide links to these churches here. As you mentioned, this is the basic procedure I have followed for listing the PCA and OPC churches. I would not want to link the the denominational websites, but I do want to encourage others to attend the individual churches that are EP. I do confess I was quite irritated with the recent vote and procedure taken by the FCS, and so I did hastily remove the link to their denominational website. I do pray for the ministers and congregations who are going through this difficult battle. Likewise, I would encourage everyone to pray for and encourage our brethren. This is a struggle for me because I have little patience with antagonism toward the singing of Psalms. I need to be more patient. I do understand that our efforts are more for the benefit of our grandchildren than for us. We must take small steps forward. The decision of the FCS is a giant step backward from my own small perspective. Thankfully, God’s perspective is infinite and he is able to work all things for His own glory. Just to clarify: in the post immediately above, is “FCC’ meant to refer to the Free Church of Scotland? Typically “FCC” is used with reference to the Free Church of Scotland (Continuing) which still resolutely and principally holds to purity of worship and exclusive psalmody. Sorry, typos, not paying attention. Fixed! Mark, I fully empathise with what you describe as your ‘impatience’ and ‘irritation’ at what has happened and how in the Free Church of Scotland. It is indubitably one retrograde movement and further defection in the denomination, affecting not just Purity of Worship but the validity of ordination vows and Confessional subscription in general. What next will worm its way into the denomination, one wonders. One hears rumours of prominent ministers praising the pope and others even defecting on the Sabbath principle itself, apprently saying playing golf on the Lord’s Day is not reprehensible desecration. So, I can well understand your immediate response to remove the denominational link altogether and should not wish to give the impression of blame. All I had in mind was that presumably there are pockets of definite resistance to this particular defection though as yet it is unclear if such pockets are concentrated in congregations or scattered individuals. That being the case and no congregations can be identified as EP, just protesting indiviaduals within congregations, I can see why your action to excise the link is not ‘precipitate’ at all and it I who owe you the apology! If definite EP congregations emerge we’ll try to keep you advised. Still, I do worry that a dual policy cannot long prevail for the whole issue of worship will no longer be promoted ( if it ever really was!) in the training college. And if congregations tolerate have hymn singing ministers in training they cannot then easily exclude such from their pulpits or other influence. In effect they have capitualted so long as it’s across the road the thief is and just not in their backyard! I would also second Jonathan’s note- the Free Church of Scotland Continuing is a distinct group, ejected by the majority in 2000. The Continuing as you may well know retains its EP principle as the Scriptural and Constitutional position of the authentic Free Church which is to eschew ‘uninspired materials of praise’. Incidentally, though the old Victorian Free Church of Scotland did wink at the use of the Scottish Paraphrases, these were quite without authority and a laxity in practice to be regretted for an ambivalent attitude to them persisted right into the post 1900 Free Church which also turned a blind eye to their occasional use in very denominationally isolated and idiosyncratic congregations such as Coatbridge. This allowed the urge for hymns to get a sort of semi official foothold in the Free Church door and discontent withEP has been festering for years in some quarters. These things don’t happen over night! Oddly, or perhaps not so oddly, the same major players involved in the 2000 split and ejection are also at the heart of this further defection. I have to agree that any divisions caused by this – and they will occur – will be a direct cause of the introduction of uninspired material and practices, rather than the advocates of exclusive psalm being merely stubborn traditionalists and digging their heels in. It most emphatically is in direct contradiction to ordination vows and the founding principles of the denomination, besides having no Biblical or spiritual mandate, and so I am personally left a little bamboozled that learned and supposedly discerning ministers and officers dismiss any resulting contradiction as an irrelevance. If it is such an irrelevance, why seek to introduce these novelties? For this reason, I am compelled by conscience to leave the Free Church of Scotland. I have no doubt, a little stink will ensue, not least within my immediate family and circle of friends, which I have no desire to foment or add to, but I can’t trust these ‘shifting sands’ any more, and am resolute enough in my own mind that this is what I have to do. It’s not personal either. Each of us stands or falls on our own integrity, so I can’t speak for others or sling any theological mud over the matter. I still respect many of my brothers and sisters in the denomination, but just don’t think it can justifiably be called much of a reformed denomination any more in terms of worship, doctrine and practice. It’s pretty much turned into a CofS. It’s become Church ‘lite’, or ‘diet’ Church, if you like, looking more like a manufactured product than something heavenly, with straplines and gimmicks drawn from a business-centred approach to evangelism, which is worldly. Sad times for Christian witness in the land. It is distressing to see the Free Church fissure even further but given the faultlines that led to the 2000 AD ejection of those (who then had to ‘Continue’ under due Constitutional lines and with regard to proper disciplinary procedures) remaining in place and opening up even more by the emboldened innovators, this fresh crisis is no surprise- except perhaps in the speed with which it has come. Actually, history as ever would have alerted us to expect just such a fissure, for in the immediate aftermath of the 1904 legal victory and the Purity or Worship Act of 1905, there was a very similar high profile quarrel initiated by one of the most prominent of the 1900 Constitutionalists, Mr J.Hay Thorburn, the 1900 continuing Free Church’s General Secretary, no less! As a ‘lowlander’ he took great exception to the official return to EP and began a pamphlet campaign to indict the ‘Purity of Worship’ men as those unscrupulously determined to narrow the broad vision, as he claimed, of the 1843 founders, like Thomas Chalmers. He even penned a brief and bitter article attacking the move as retrograde and ‘Celtic’. That this ‘racial’ idea had not an iota of substance in fact is bourne out by the very prominent role Lowland Constitutionalists such as Dr James Begg, Prof George Smeaton and the likes of Dr Hugh Martin all took in opposing and refusing to countenance worship innovations. Obviously much acrimony resulted and Thorburn eventually decamped to the Established Church of Scotland, despite his previous strenuous efforts on behalf of the Constituionalist cause. And indeed there was lingering ambivalence on the part of many who aligned themselves with the post 1900 church right up to the 1920s, with ministers and others regularly joining but after briefish ministries, then leaving again. This certainly must have weakened morale in the early decades and diluted the clarity of the church’s official stance. Though by the 1930s and after the 1932 Act in particular things settled down there has always remained an undercurrent of those rather out of sympathy with the strict application of the Regulative Principle. And with the exodus in 2,000 AD that faction have gained the upper hand by hook or by crook. What they seem to have failed to take into account is that there was still a not insubstantial conservative stream left and by riding so rough-shod over the latter’s concerns they have now provoked a backlash. Where it will all end is anyone’s guess. Colin MacIver is correct in one point especially- the ‘church lite’ attitude of those in the defecting faction. The impression given seems to be the church as an institution is of no real consequence, what counts is just personal faith. Such an attitude is both un-Presbyterian and plays right into the hands of the Romanists. Church authority is on the contrary a vital and highly serious and important means of God’s grace and that in turn brings us back as to why ordination vows are never to be undertaken lightly or as if we can change them with impunity. All these issues are coming home to roost in the defecting wing of the Free Kirk. It is terribly sad indeed. The irony is that some have assented to the worship defections in the fond hope it might attract in disaffected Church of Scotland evangelicals which is why Mr MacIver sees the denomination becoming a pale refelection of CofS evangelicalism. And the irony? It is highly questionable that many CofS evangelicals will ever leave- ‘secession’ as they see it is virtually worse than fellowship with downgrade. I should also report that the conservatives in the Free Church of Scotland have framed a ‘Memorial and Protestation’ against the recent steamroad-rollered innovations at the Plenary. Significantly various quite high standing ministers, some ex-Moderators of General Assembly, are involved in its production and very public circulation. This has caused consternation and discernable irritation in the innovators’ camp. It definitely looks as if a worship war is going to be inevitable. To be honest, though I have sympathy with the Memorial and Protestation, I’m really not that convinced it will have much impact. Some who have sincerely objected to the introduction of hymns and instrumental music, and moved congregations as a result, don’t necessarily agree with it either. The issues, with their accompanying arguments and counter-arguments, are all out there in the public domain already, and people may peruse them at their leisure. It may need to be said, but the pattern seems to be that when some people go down a specified path, they usually stick to it, for good or ill – for ill in this case I believe anyway. There will be heated debate for a while. People on both sides will get angry and bitter, but very few I imagine will recover that conviction, because the process of settlement into such patterns are difficult to shift. You can point out doctrinal issues, historical precedents, etc., until you are blue in the face, but I know many of those who advocate these things aren’t for turning. I’m already in the position of being in the spotlight, which I absolutely hate, and my minister wants to discuss these things with me next week. I can guess he’s probably stomping at the bit slightly, and I can predict the scenario fairly well, though being somewhat shy of confrontation personally, and a pathetic orator, I will probably have one eye on my watch, and my thoughts on the exit. It’s the cost of being convinced I suppose. I’ll go through the motions of course, but it won’t achieve anything I don’t think. I originally came from an FP background, and I’ll be heading back there, probably with my tail between my legs, but clear in my own mind that, regardless of faults and criticisms, they say what they mean and mean what they say so to speak. In the meantime, I merely want to bend the knee, pray and cleanse the temple, making the Lord Jesus Christ my all in all. Apologies- my reference to ‘Colin MacIver’ is wrong- it should of course be to ‘Angus MacVicar’! Some form of creeping dyslexia on my part?! Definitely creeping ( or galloping!) dyslexia! Sorry, Angus MacIver, twice I have mangled your name! First it was your Christian name, then your surname! You are perfectly right about the F.P.s At least they do take their vows very seriously- or at least far more so than has been happening of late in the defecting Free Church. As a Presbyterian I take the view one should attempt to exhaust every possible avenue and virtuslly have to be flung out as at 2000. However, that I do agree must be balanced against the Scriptural duty to separate from defection and not tarry over long for cleansing that is never going to happen. The Memorial and Protestation is a good Protestant procedure and instrument and one’d hope the Purity folks would try to unify and not squabble amongst themselves. However I am inclined to agree with you- ultimately there seems too much at stake for the innovators to climb down. It would require they themselves would then need to undergo discipline..not very likely. Since 2000 they have been calling the shots and the bitter fruit is a Free Church in free fall. If the Church of Scotland fails to fudge on the perversion issue then I suppose elements of both groups will cosy up together into what they’ll term a ‘comprehensive vision’ kind of Free Kirk. But one very different from their 1900 forefathers, that’s for sure, who saw off J.Hay Thorburn in 1908 when he stomped off in high dudgeon, blaming them all for attenuating Chalmers reputedly broad church into a ‘Celtic’ backwater! His Scriptural arguments for exactly the innovations that have now come about are pretty poor indeed. Sorry I have been so busy lately. These are some interesting discussions that have been going on, I have been enjoying reading them as I have been running around all over the world it seems. I appreciate the insight that you all have provided on such a sad issue. We have much to pray about in matters concerning the Free Church of Scotland. Thanks so much for bringing this to our attention. I will start a new thread for discussion. I think this represents a very sad state of affairs. To the outsider it represents thinking that has lost its perspective. If Jesus really…. no really …. rose from the dead, and wants His people to preach His good news to the whole world, then come on…. can He really be pleased that they are judging each other about the quality of their worship? Really? Isn’t it arrogance on our part to judge the quality of worship acceptable to God? Remember the widow and her mite? I guess there has been many a saintly soul who has offered up a trembling hymn to God whose worship has pleased Him, while on the same day there have been one or two proud psalm singers, relieved that they are wiser and more enlightened whose praise missed its mark. Come On! People are dying and going to Hell while Christians fall out over this. The folly of the Churches; the absence of love and the wisdom of the Holy Spirit which the Bible leads us to expect to find is the biggest obstacle preventing people like me becoming a Christian and joining in Church, though I recognise God as the Great Creator and Christ as His Glorious Son. ..despite repeated demands have been met with stoney silence. These things are all connected and indicate that a sure grip on the Gospel is sliding away from them. Certain very pugnacious and vociferous individuals can get away with very ‘daring’ behaviour while others get hammered- no way to run a church which must protect all by uniform discipline. So, I cannot agree with you, Doubter, that such matters should just be let go. And worship, in any case, is no secondary matter. ‘Doubter’s’ style of argument is the common approach by those who consider reformed distinctives irrelevant. It sounds good to the undiscerning, but its source of supposed ‘light’ quite frankly isn’t. I ask anyone to start making some detailed comparisons between styles of worship, reverence, preaching, teaching, ‘biblicity’ (if that is a genuine term) etc., between our respective denominations and ask some searching questions; is humility in evidence on the part of those conducting worship, ministers and congregation included? Or is there a certain over-confidence? A gloss or something akin to good marketing rather than a reliance on the power of the Word and Spirit? Is the preaching Biblically saturated (or just a polemic with a veneer of Christianity? Is it Arminian – that is to say, does it emphasise our role or God’s in evangelism? Is worldliness a feature of that denomination’s church life? Are people hearing real, serious doctrines, such as sin, righteousness and judgment, or just the ‘good’ bits? Is there ‘easy believism’ evident in the church? Do people realise that we have a very real enemy in Satan, who masquerades as an ‘angel of light’? And are serious minded and outspoken critics of modern evangelism simply seen as bigots, pharisees and legalists, simply because they express an opinion, and not because their faith and characters have been put up to scrutiny? After researching the FCC and FC split of 2000, I have to confess to being aghast at the way some gracious ministers were treated. My guess is that if people took some time to consider these questions, and seriously prayed to God to provide the answers to them, people might not be so easily carried along by some of the trends evident in the church. Although I know and respect many faithful people within her communion, I personally believe there is a subtle arrogance developing in the Free Church of Scotland. Just compare sermons and sense the air of entitlement. But is there more rhetoric than power there? The more influential figures will probably hold sway on recent innovations and get their way (let them), and doubtless there will be a lot of pious sounding inter-flattery involved, but what are the ends? Prove it all and see for yourselves. Angus and Ewan…. you seem to have missed the point of my earlier comments. Firstly, according to the Bible, masses of men and women and boys and girls all around us are living and dying and going to hell. This grieved God so much that he gave his only son to die in torment and shame. His mandate to the Church, is to go into all the world and spread his good news. The state of society should break all our hearts. Seeing men of great gift and talent falling out over secondary things rather than employing those God given talents to these ends should also break our hearts. Secondly, while reverent and humble worship is essential only God can really judge whether my worship and yours is acceptable to Him. And thirdly, though I didn’t mention this before, the apostle Paul’s expectation and desire was that when unbelievers attend a worship service there should be such a sense of the reality of God’s presence that they are overwhelmed. It should break all our hearts that this is so rarely so. We should be pleading with God to seach our hearts and help us discover what it is that makes Him absent from so many Church meetings.